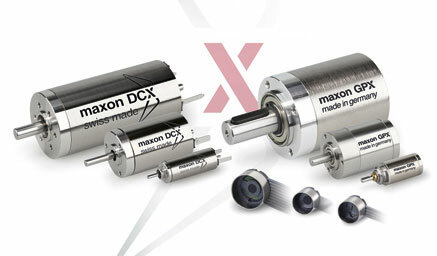 With the new DCX program is it now possible to configure DCX motors, GPX gearheads and ENX encoders from maxon motor online at dcx.maxonmotor.com. For example, the DCX 35L, with a diameter of 35mm, has a speed/torque gradient (4rpm/mNm) close to that of the existing RE 40 DC motor (40mm diameter, 3.5rpm/mNm). Furthermore, all DCX drives can be configured on the Internet and will have short delivery times.